The staff was great! The room was very comfortable and clean. We really enjoyed staying here. The staff was exellent ready to help you with everything.The room was beautiful and very clean with a wonderful view of the sea.The garden had a playground for the kids and a gym for us and we realy loved the tennis table.The sea was so close that we went with our bathing suits by feet.it is two minutes away! !Our overall experience was perfect and we will definetly come back.Thank you for rverythinf villa drossia!! The staff were fantastic here and made our stay easy and enjoyable - nothing was too much trouble! We stayed in the bungalows which were seperate to the main building. They were very quiet and had a lovely verandah to sit out on. Having the beach so close was a great bonus, with a supermarket and tavernas all with easy walking distance. The communal gym, garden and seating areas were beautiful and a very good idea, as was the covered parking! 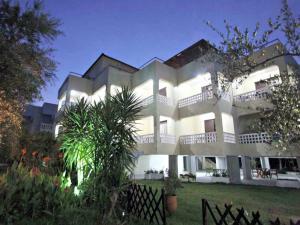 Great location, very nice staff and very clean rooms. The location was great, 100m from the beach. The small playground was fantastic for the kids. Very hospitable , friendly and obliging owners! Everything is considered to make your vacation comfortable! We would be delighted to visit this place again and we wolud recomend it to everyone! The room was very clean and the kitchen equipment was adequate. It is just 40m from the beach and it has its own (free) umbrellas. It was quiet and spacious so our long weekend was as relaxing as it could. The rooms were comfortable although the children slept in the kitchen (they didn't mind this) The balcony view was beautiful over the sea. The beach was great and supermarket was walking distance as were several tavernas. 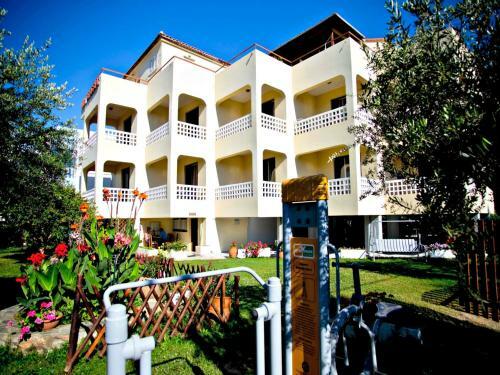 Lock in a great price for Villa Drossia – rated 8.4 by recent guests! 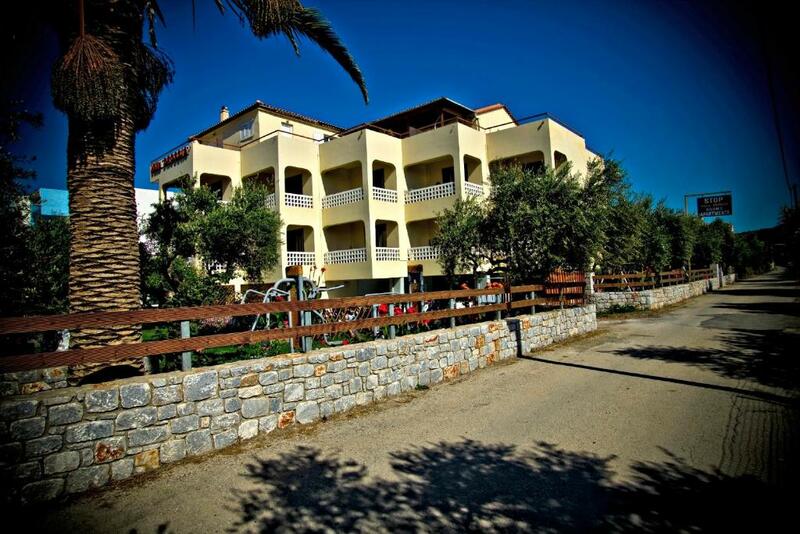 Featuring a private beach, Villa Drossia is located in Gytheion, in Laconia. 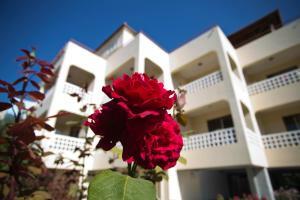 The property offers a garden with BBQ and a fitness center. Free Wi-Fi is available throughout. The air conditioned rooms come with a flat-screen TV and a balcony offering views of the sea and the mountain. A fully equipped kitchen with a microwave and fridge is included. Featuring a shower, the bathroom also comes with a hairdryer. At the hotel you will find a 24-hour front desk, luggage storage and laundry services. There is also children's playground and a games room, including ping pong and billiards. 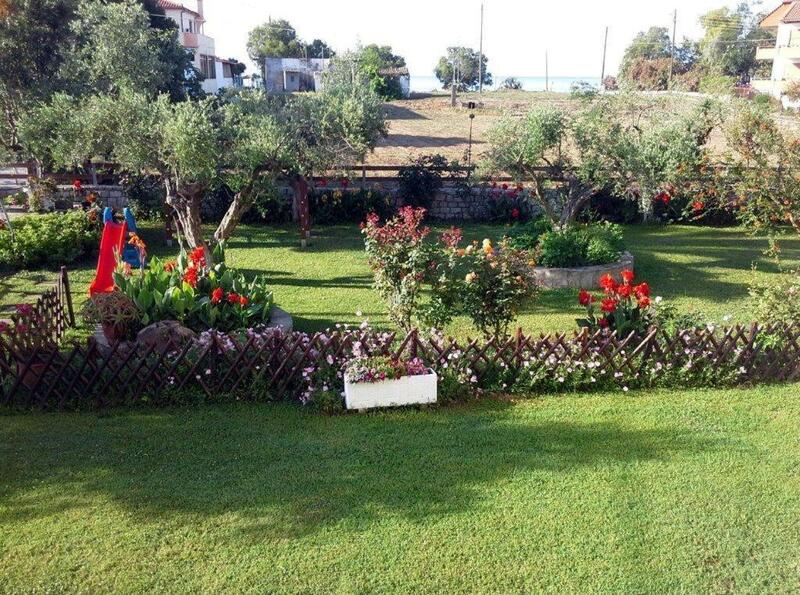 There are vegetables and fruits available from the property’s biological garden. 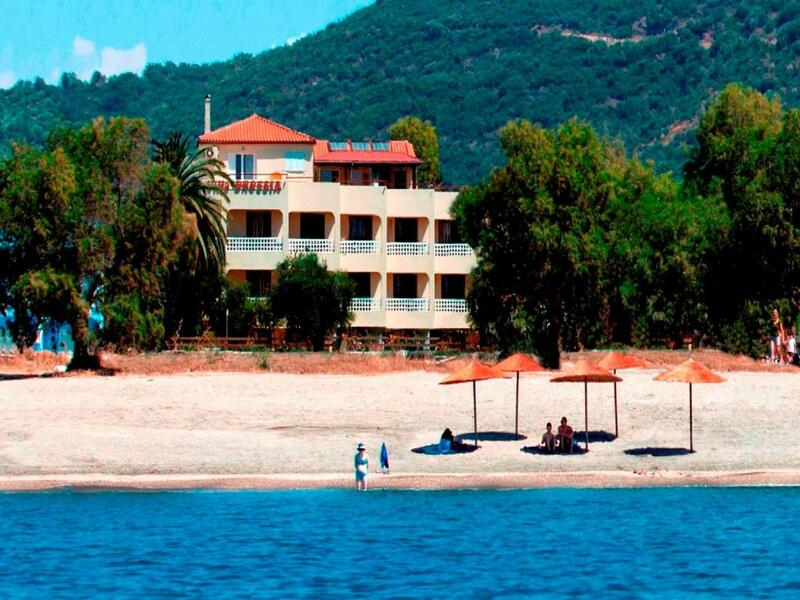 Mavrovouni Beach is 150 feet from Villa Drossia. The center of Gytheio is 1.9 mi away while Spilaia Dirou is 16 mi away from the property. The Medieval Castle of Mystras is 28 mi away, while Kalamata Airport is at a distance of 62 mi. Free, secure parking is available on site. 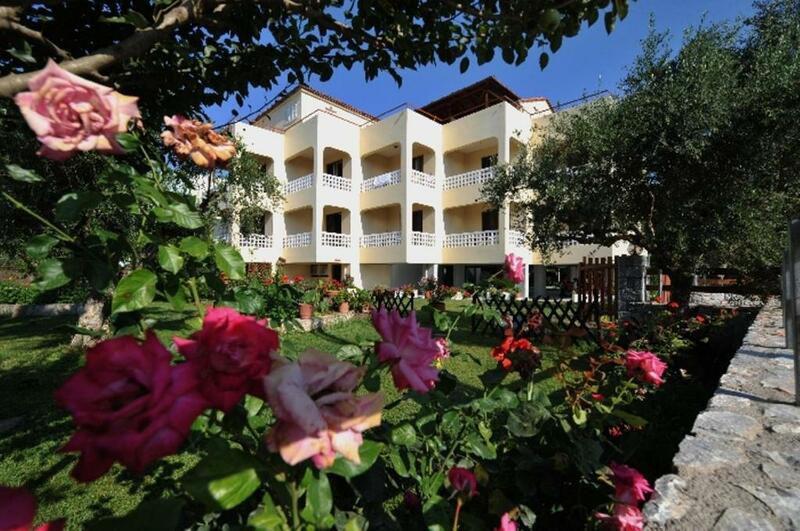 When would you like to stay at Villa Drossia? House Rules Villa Drossia takes special requests – add in the next step! Villa Drossia accepts these cards and reserves the right to temporarily hold an amount prior to arrival. A prepayment deposit via bank transfer is required to secure your reservation. 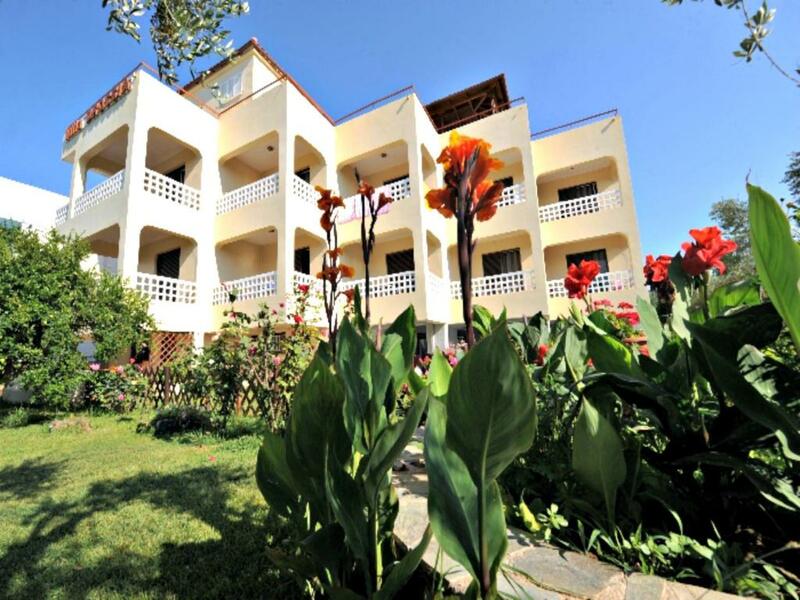 The property will contact you after you book to provide any bank transfer instructions. The remaining amount will be paid in cash, upon arrival. The property was a little tired in places (a few cracked tiles). We had a kitchenette but a kettle would have been nice, and we were a bit short on cutlery & crockery. Neither of these were a big issue or detracted from our stay! I did't like the distribution of the apartment: a small kitchen area with one bed and a huge bedroom with a double bed and a single bed. But that's my personal opinion. The kitchenette was poorly equipped (e.g. we could not all drink coffee at the same time!) The bathroom was very small, a large person would struggle to enter the shower as toilet is so close to it. We were initially placed in the wrong room, 4 hours later we were asked to immediately move (had been to beach, supermarket etc by now so had loads of food and wet kit) and no real evidence from owner that he recognised this was not acceptable. He did apologise at the time but never spoke to us again for the rest of our stay.